At Danone Manifesto Ventures, we're here to offer mentorship and support to help amplify your growth. We bring together subject matter specialists, financial experts, and access to Danone's world-class expertise and resources to help companies grow and scale. 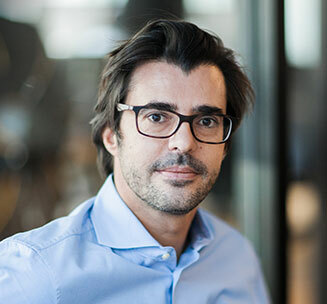 Laurent leads the Danone Manifesto Ventures team as Managing Director. He plays both a front- and back-end role, establishing the group's strategy and vision for growth and culture, while also working closely with partners and brands. With Danone for over 15 years, Laurent has lived all over the globe-from Paris and Jakarta, to Moscow and Mumbai-as a CFO and General Manager, He gained unprecedented international experience leading business units for Danone. Prior to joining Danone Manifesto Ventures, Laurent was the General Manager for Danone in India. Before joining Danone, Laurent started his career as a business lawyer specializing in mergers and acquisitions in Paris and New York. Laurent is a graduate of HEC Paris and a former attorney with the Paris Bar. You'll find Laurent spending time with his three children or visiting art museums and galleries with his wife, who is a sculptor. He also loves playing tennis, running, surfing, skiing, reading novels and traveling the world. Dream big, do good, and enjoy the moment. Jean-Francois, also known as JF, is the Head of Investment at Danone Manifesto Ventures. Through a career in the US, Europe and Asia, JF gained extensive knowledge across a range of disciplines, from external development transactions to operational business units. Prior to joining Danone Manifesto Ventures, JF was the Vice President of Finance for Danone Dairy in both the UK and Ireland. He also served as the Director of Corporate Development for Asia Pacific & Middle East. Before joining Danone, JF started his career in M&A at Lazard and also worked in private equity focusing on the renewable energy sector. JF is a graduate of EM Lyon and University Paris Dauphine. After his family, JF's top interest in life is food, So he often combines them by cooking new meals and testing them on his wife and kids. When he's not wearing his chef's hat, he can often be found at his local grocery store checking out new products and food trends. Happiness is not a state to arrrive at, but a matter of traveling. Paul is the Head of Danone Manifesto Ventures in Europe, where he combines his experience in finance and strategy to identify innovative startups and promising propositions disrupting the food space. He also works closely with portfolio partners to optimize their development and growth strategy. Prior to joining Danone Manifesto Ventures, Paul worked for Danone for over 6 years, most recently as co-CFO for Danone’s Asia-Pacific baby food business, as well as a Project Director for Danone M&A. Previously, he was a leverage finance manager for RBS Global Banking & Markets and a strategy consultant at Hemeria (now a part of Oliver Wyman), where he primarily worked on industrial and logistic performance projects. Paul holds a Masters in Science in Industrial Engineering from CentraleSupelec. Paul is a passionate cook and always goes back to his grandmother’s recipe book for inspiration. He finds peace and comfort in his family vineyard, which he harvests following high organic standards. Paul is also a big board sports fan, which you will find him practicing during the holidays with his wife and children. As a Ventures Director, Holly uses both her analytical and creative thinking skills to help identify like-minded brands and entrepreneurs as potential partners. She also helps her portfolio partners build strategies and solve business challenges to exceed their growth expectations. Before joining Danone Manifesto Ventures, Holly worked for Danone as a Brand Manager for Activia and Danimals, where her love for the food industry was born. Previously, she worked as a financial and litigation consultant at both Deloitte and Navigant Consulting in Chicago. She holds an MBA from New York University and a Bachelor's of Science in Mechanical Engineering from the University of Michigan. Holly loves recreating celebrity chef-inspired dishes. When she's not whipping up something delicious, she likes to explore new cities and see the world through the eyes of her toddler. An open mind will open doors that you might not have thought of. Molly is a Ventures Director for Danone Manifesto Ventures, where she brings her extensive expertise in marketing and management to help identify attractive brands and models and to support our portfolio companies to their fullest potential. Molly's passion for growth and consumers makes her a critical business partner for those seeking disruptive innovation. Before Danone Manifesto Ventures, Molly was the VP Marketing and Sales of Aloha and VP Marketing of Happy Family. Her earlier experiences include Brand Management at Unilever as well as a tenure as an Equity Analyst with Franklin Templeton Investments. Molly holds an MBA from Harvard Business School and a Bachelor of Arts in Economics from the Columbia University in the City of New York. Molly is eating, thinking about eating, or negotiating with her children on what they are going to eat. 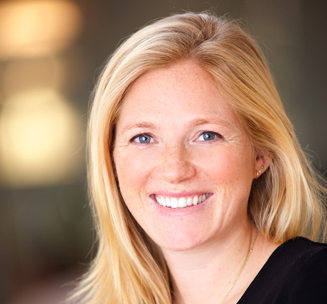 Gillian serves as a Ventures Manager at Danone Manifesto Ventures. Gillian plays an active role on deal sourcing and due diligence as well as portfolio collaboration activities across investment opportunities. Gillian has a personal passion for the sustainability of our food system and access to healthy food. 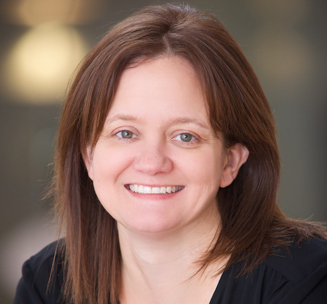 Prior to joining Danone Manifesto Ventures, Gillian was a management consultant at The Boston Consulting Group, working primarily with food and beverage companies. Gillian started her career in investment banking with Deutsche Bank in New York City. She holds a Bachelor's Degree from the University of California, Los Angeles in History. Gillian spends her time cooking, hiking and running, spending time with her family and friends on both the west and east coasts, reading, and dreaming of one day opening a bakery with her three older sisters. 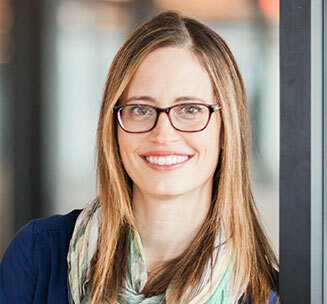 Jen returned to Danone as the Director of Sales for Danone Manifesto Ventures, bringing her extensive experience in sales strategy and execution to the fund’s portfolio companies. She helps these partners optimize their channel strategy and sales plans, equipping them with the tools needed to drive for growth. 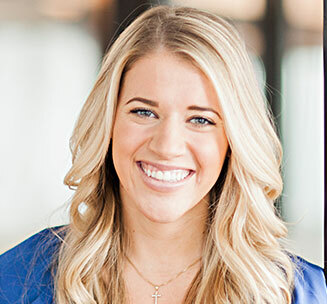 Passionate about food, Jen began her career in sales at Kraft Foods in category management. 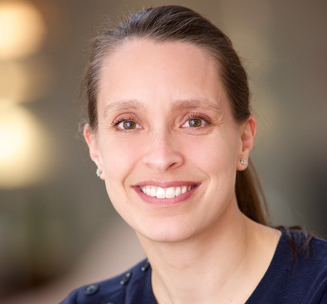 She then joined Danone North America in 2005 holding many sales positions over 11 years, including VP of Sales for the Central Division and VP of Sales of Stonyfield. Before coming back to Danone, Jen was a trusted advisor for a number of food startups, enabling her to nurture her passion for entrepreneurs. Jen holds a Bachelor of Science in Marketing and Finance from Illinois State University. Jen loves cooking and testing out new recipes. When she’s not experimenting in the kitchen, Jen loves to discover new flavors by attending food tours in new cities. In the summertime, you will find her on an outdoor patio, spending time with her friends and family. 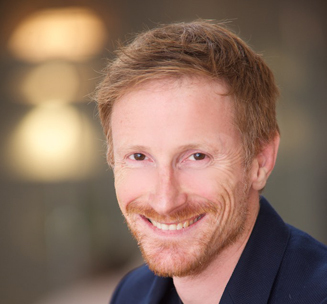 Jean recently returned to Danone to serve as Director of Operations at Danone Manifesto Ventures, bringing to the portfolio companies his extensive knowledge of management, operations and supply chain. A food enthusiast at heart, Jean has worked in the food and dairy industries since the start of his career. He launched his career at Danone in dairy manufacturing plants in France before moving to Hungary to become the Plant Manager for Bongrain, the French cheese company. He then moved to the US to build a factory and head cheese operations for an American artisanal cheese company before becoming Director of Operations at Kite Hill in 2012. He then became Kite Hill's COO leading their operations, manufacturing and R&D. He holds a Masters in Mechanical Engineering from Arts et Metiers Paris Tech. Jean loves to cook and bake, especially with his wife and three kids. When not in the kitchen, he enjoys spending time outdoors on backpacking trips. 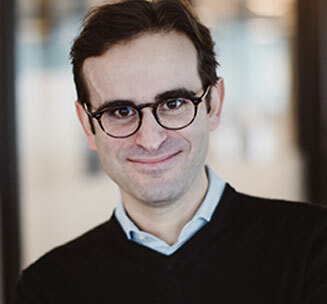 Aurelien is the General Counsel of Danone Manifesto Ventures, where he supports all legal aspects of investment activities and provides strategic counsel to the portfolio companies in legal and regulatory matters. Aurelien's sound business sense, pragmatism and passion for finding the most collaborative solutions make him the lawyer you want to have on your team. 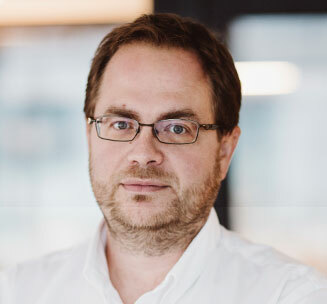 Prior to joining Danone Manifesto Ventures, Aurelien was senior legal counsel to Danone's corporate development group, where he led numerous transactions around the world, gained valuable industry experience and developed a deep understanding of long term partnerships. He's a former attorney with Darrois Villey Maillot Brochier (Paris) and Wachtell, Lipton, Rosen & Katz (NY). He holds an LLM from Columbia Law School, a law degree from University Paris 2, and is a graduate of ESSEC Business School in Paris. Aurelien is admitted to both the New York and Paris bars. Aurelien loves spending time with his Swedish wife and their two American sons. He likes running along the Hudson River, staying close to his friends wherever they may be, and daydreaming about furniture design and vintage pieces. 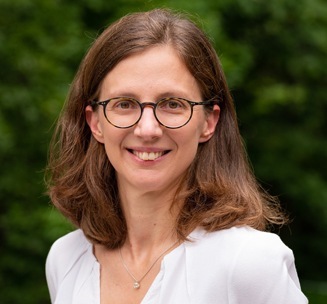 Kristelle is the Controller of Danone Manifesto Ventures, where she brings extensive experience in finance spanning across budgeting, reporting, financial modeling and support in making informed decisions. Kristelle strives to help businesses optimize their resource allocation and strategically think through their financial future. 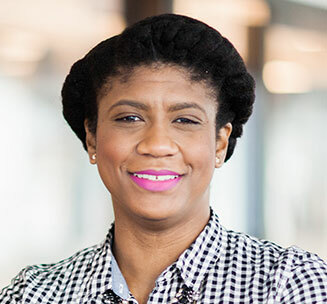 Kristelle started her career in Montreal at KPMG as an auditor and held several senior finance positions for a global CPG company in Sydney, Australia. She holds a masters degree in public accountancy from HEC Montreal and is licensed as a Certified Public Accountant (CPA). Kristelle can be found outdoors trail running, unwinding on a yoga mat or encouraging her two sons to try new hobbies, sports and of course culinary experiences. She spends time planning new family adventures and believes that travel makes one a richer person. As a mother of two, Kristelle has a personal interest in helping families feed healthy food to their children. As Executive Assistant at Danone Manifesto Ventures, Jessica plays an integral role in supporting the entire team. She tackles internal coordination, workflow systematization, relationship management, and more. Prior to joining the team, Jessica worked in various roles at the Permanent Mission of Haiti to the United Nations, including as an attaché focusing on social issues such as discrimination of women, as a communications officer, and as an Executive Assistant to the Ambassador of the Permanent of Haiti, who she followed as he became U.N. Economic and Social Council (ECOSOC) and on to Chair to the Advisory Committee on Administration and Budgetary Questions (ACABQ). Jessica holds a Bachelor's Degree in Finance and Marketing Management from Baruch College. Jessica loves reading, cooking for holiday get-togethers, swimming, and interior decorating. Always trust your gut; it will never fail you.